Anyway, Matchmaker's RNG is already confirm that you're Victory or Defeat. 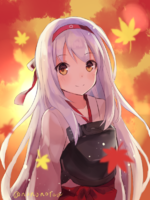 For myself, I playing with Tier VIII Shokaku, and I losing like 9~10 Stright Streaks, even I doing at least around 70K damages(max. 120K damages in a match) per every battles. Because Matchmaker keep giving a team that Average win Ratio like 38%~43%, when the opponent teams Average win Ratio is 48%~52%... In the matching, I'm already lose because RNG at all. It will be good if there's a selection of "Maybe", because Wows sometimes giving me fun, but it will giving me depress often.